Longlisted for the 2012 Miles Franklin Award. decade earlier, following a scandal involving a much younger male teacher. After losing her savings in the financial crash, she is forced to sell the dream house she had built for her old age and live on in her dilapidated cottage opposite. never much liked children, Thea discovers a gradual and wholly unexpected bond with the half-Vietnamese Kim, a solitary, bookish child from a troubled background. Her growing sympathy with Kim propels Thea into a psychological minefield. Finding Frank’s behaviour increasingly irresponsible, she becomes convinced that all is not well in the house. Unsettling suspicions, which may or may not be irrational, begin to dominate her life, and build towards a catastrophic climax. On the face of it, THE PRECIPICE is not a crime fiction novel, although by the end you realise that more than one crime has been committed, and there are certainly plenty of puzzles to solve. Thea Farmer became a teacher and eventually a school principal without much liking children. She thinks she is a pretty good judge of character, but doesn’t really get on with people particularly well, preferring her own company and that of her elderly dog Teddy. She was dealt a cruel blow in her forced retirement by the global financial crisis and has to sell her dream home in the Blue Mountains. She resents the people who’ve bought her house but as she has bought the cottage next door, which she calls the “hovel”, she is very aware of them. Thea joins a creative writing class and through her pieces for the class, and her interactions with the people who have bought her house, we piece together the mystery of her life. In fact there is more than one mystery. Despite her better judgement Thea befriends 12 year Kim. When she begins to believe that her new neighbour Frank is not a good role model or guardian for his niece Kim, Thea is unable to stand to one side and do nothing. An intriguing book that kept my interest throughout. Towards the end the tension builds as you just know Thea is going to do something and are not sure what. And is it something she has done before? 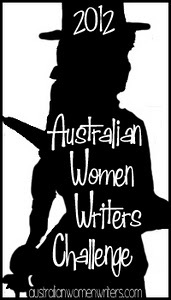 I was very close to reviewing this at my other blog rather than this one which is devoted strictly to Australian crime fiction. Certainly the book is Australian but to me only people who rarely dip their toes into the genre would consider this book an example of it. However it is being marketed as a suspense/thriller novel and further as a rare example of the genre to reach the longlist of the country’s most prestigious literary award. And regardless of the label you give it, the book is a fantastic read, my favourite of the year so far. It is tells the tale of Thea Farmer an eighty-ish, single woman who lives in the Blue Mountains (a couple of hours west of Sydney). A retired school principal she designed a dream home and is just about to relax into her lovingly crafted sanctuary when the global financial crisis hits. With her retirement fund reduced to a pittance she has to sell the house and move to ‘the dump’, a nearby Federation era cottage. From there she watches the invaders, her new neighbours Frank, Ellice and 12 year old Kim, and keeps the journal her creative writing tutor recommends. The story then unfolds over the space of a few weeks and we learn something of Thea’s past, in particular the disgrace which forced her early departure from her career, as well as watch her grow to know her new neighbours, warts and all. It happens less these days than it did when I was a teenager but, occasionally, I still fall in love with fictional characters. The kind of love where you only notice the good things about a person or if you do notice the bad things your brain tricks you into believing they’re good things and you’re happy, willing even, to be tricked. I fell head over heels in such a way for Thea Farmer. She is reclusive, opinionated, proud, distant and is disenchanted with her fellow humans as a species. She is also independent, a loyal friend and a woman of action. As the story opens she is bitterly disappointed, bereft almost, at the loss of her dream and all it represented. And yet she gets on with the graft of living. No breakdowns or wallowing in self pity for her. Thea is far from a perfect human being but she is a marvellous character and I love her to bits. 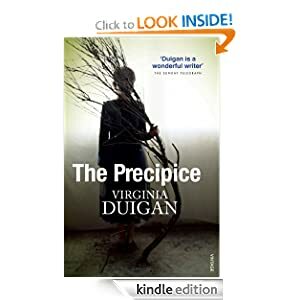 THE PRECIPICE’s first person narrative, told largely in the present tense, suits the story remarkably well (and somewhat surprisingly for me as these are among my least favourite writing techniques) and Duigan proves herself an evocative writer; able to capture the essence of a moment, a feeling, a natural object with deceptive ease. Through Thea’s eyes there is commentary and observation on our collective impact on the the environment, modern education, ageing and so on but it is all said with a light touch and an underlying sense of humour. Albeit dark humour most of the time. At one point Thea describes being elderly – at least from the point of view of the young – as the tundra of the irrelevant and I found the book full of such turns of phrase; the kind I like to savour, re-read and store away for future use. The story is in some ways quite simple and straightforward but there is real suspense in the revelation of each small detail of Thea’s past as well as the present happenings. It is done in such a way as to provide a comprehensible motivation for Thea’s behaviour and actions. Which, as it turns out, is entirely necessary. Along the way we meet an awkward but likeable teenager in Kim whom Thea befriends (or is befriended by) and a cast of engaging minor players who provide humour, contrast and diversion. Even, or should I say of course, the natural beauty of the Blue Mountains is a prominent feature of the book, incorporated by the walks Thea takes (at first with her faithful four-legged companion Teddy and then with others). The eponymous Precipice is, fittingly, spectacularly described as are the other special, private places that Thea visits to ease her troubled soul. I suppose in the end it matters little what gene label is placed on the book except that most of the negative comments I’ve seen about it make some reference to the fact the mystery element is not terribly mysterious. And I would broadly agree with that because, to me, the book is not about who did what to whom. Instead it is a book about a remarkable woman past a certain age who, because of her particular life experiences, reacts to a situation she sees unfolding in a most individual way. And because I am in love with her I found her easy to forgive. Today was another one of those days that required an application of retail therapy and so to the local bookstore I strolled. I feel slightly less guilty for buying books I didn’t quite need because both of them are Australian. I’m not wasting money I’m helping the economy. Thea Farmer, a reclusive and difficult retired school principal, lives in isolation with her dog in the Blue Mountains. Her distinguished career ended under a cloud over a decade earlier, following a scandal involving a much younger male teacher. After losing her savings in the financial crash, she is forced to sell the dream house she had built for her old age and live on in her dilapidated cottage opposite. Initially resentful and hostile towards Frank and Ellice, the young couple who buy the new house, Thea develops a flirtatious friendship with Frank, and then a grudging affinity with his twelve-year-old niece, Kim, who lives with them. Although she has never much liked children, Thea discovers a gradual and wholly unexpected bond with the half-Vietnamese Kim, a solitary, bookish child from a troubled background. Her growing sympathy with Kim propels Thea into a psychological minefield. Finding Frank’s behaviour increasingly irresponsible, she becomes convinced that all is not well in the house. Unsettling suspicions, which may or may not be irrational, begin to dominate her life, and build towards a catastrophic climax. I like the sound of the curmudgeonly character and I lived for a time in the Blue Mountains so I’m keen to read this one. Top Homicide cop Darian Richards has been seeking out monsters for too long. He has promised one too many victim’s families he will find the answers they need and it’s taken its toll. After surviving a gunshot wound to the head he calls it quits and retires to the Sunshine Coast in an attempt to leave the demons behind. But he should have realised, there are demons everywhere and no place is safe. 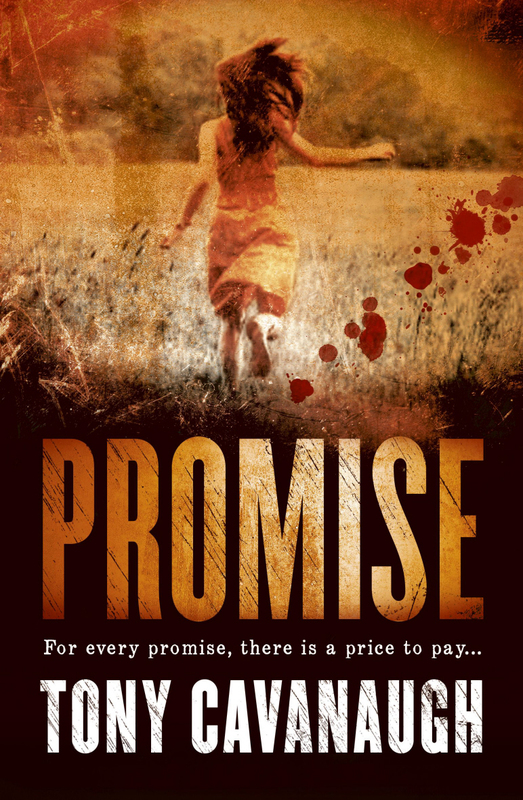 A serial killer is prowling the Sunshine Coast area and Darian tries to ignore the fact his experience could make a difference hunting him down. All he wants is to sit at the end of his jetty on the Noosa River and ignore the fact that girls from the area have vanished over the past fourteen months. All blonde and pretty. Youngest: 13. Oldest: 16. He knows they are all dead but the cops were saying ‘missing’ or ‘vanished . That s what you have to say if you don t have a body. Jenny Brown was the first. She vanished sometime after 4 in the afternoon, Saturday 15 October the previous year. Except for her parents and her friends and everybody who knew her, it was thought she was just a runaway. Especially by the cops who allowed a good two or three minutes before arriving at that conclusion. By the time they d reached the gate to the front yard of her house, before they d even walked across the road and climbed into their cruiser, they would ve forgotten Jenny Brown even existed. But then others disappeared and they couldn’t call them all runaways. Darian can t sit idly by and he decides he is going to find the killer and deal with him … his way.